Locally owned and operated, Louisiana licensed. Call in, we'll discuss what you need. If it is something I can help you with, I'll give an upfront price. There will be no surprises, period. If I cannot help you I will try to point you in the direction of someone local who can. That's it. No gimmicks, no bait and switch, no sales pressure. Solid Lock and Safe is proud to have an office in downtown Covington, Louisiana. Solid Lock and Safe, LLC. Located near the Courthouse, within walking distance of great Covington Food and Shops. Solid Lock is a Mobile service, but will be happy to meet you at the office to save you trip fees. Just remember to call ahead first and schedule a meeting, or make sure I'm here. With Solid being a mobile service, the office isn't always staffed. Tangipahoa Parish is where Solid Lock started, and Solid is still proud to serve it. With Mobile service from Ponchatoula, through Hammond and to Kentwood, Solid is happy to cover the parish. Solid Lock and Safe is a mobile Locksmith Service. Coverage of the entire Southeast Louisiana Region and beyond is service Solid is proud to offer. 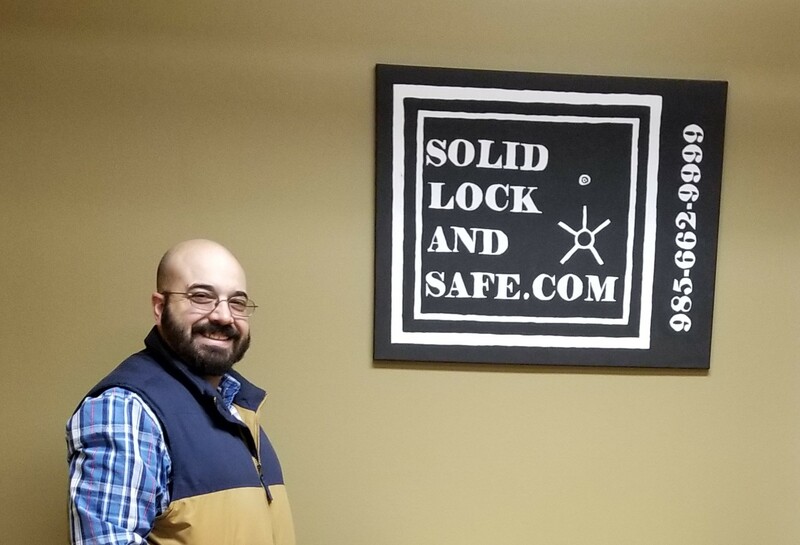 When you contact Solid Lock, you know who you are getting and the quality of Service and Professionalism that comes with it. My name is Michael Jennings. I am the owner as well as the locksmith. That is me in the picture at the top. This is my Local SE Lousiana Business and I am proud of it and the work that I do. I have a rich background in Safety, Security, Emergency Preparedness and Response. And this background has brought me back full circle to opening Solid Lock and Safe so I can continue to do what I love. I take my work seriously and I treat everyone as I would like to be treated. I firmly believe if it's worth doing, it's worth doing right. If you have made it all of the way to the bottom of this page. Thank you for taking the time to read a little bit about Solid. If you have any questions or would like to set up service. Please give me a call and I'll be happy to help.